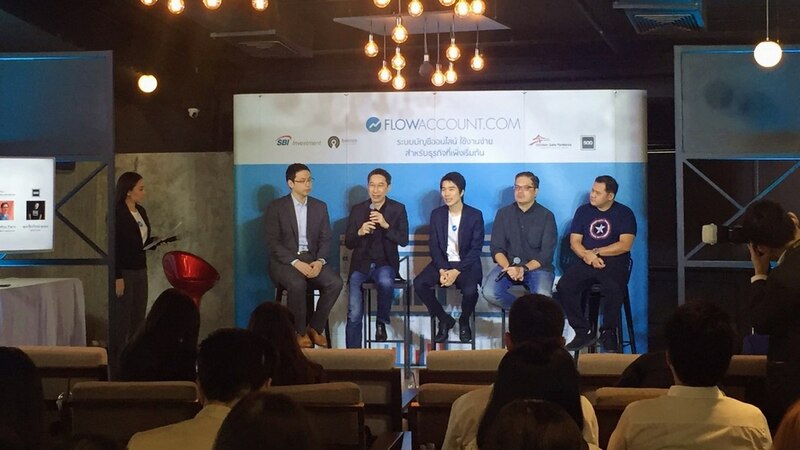 Thailand-based online accounting SaaS company FlowAccount raises a $1.15 million Pre-Series A round from SBI Investment, Beacon Venture Capital, Golden Gate Ventures and 500 TukTuks. The winner of AIS The Startup 2015 expects swift customer base expansion. Currently, over 10,000 companies are active FlowAccount subscribers, with more than 100,000 tax invoices issued each month via the system. In response to government policies, the company plans to provide e-tax invoices and act as a platform to connect other solutions for convenient and efficient back office operations. Among them are ‘Food Solution’ – a digital solution for comprehensive restaurant management – that was launched in May; a Payroll app linked to KBank’s K PLUS SME application, which was introduced in August to facilitate easy, speedy salary payments to employees; and Fastpay that facilitates easier payments to suppliers. This allows FlowAccount customers to conduct financial transactions faster and more conveniently, thus, they aim to further upgrade their system to perform even greater feats in cooperation with business partners. FlowAccount was primarily designed for startups. Their very user friendly automated accounting software enables operators to send out billings within two minutes, even though they may not have an accounting background. With just one click, they can use a free service with basic functions such as sending price quotations, trade invoices and even generate tax invoices. Additional functions include inventory management, accrued-expense balance, staff salaries and other reports that help startup entrepreneurs to run their business professionally. Users can access the online accounting service anywhere they are and at any time using a computer or the mobile application available for both iOS and Android, in Thai or English. FlowAccount also regularly organizes workshops to provide tips on basic accounting for startup entrepreneurs and SME owners.